The rapid population growth and its concentration in large cities has caused an important increase of urban waste, which contributes significantly to the total amount of waste generated by our society. Today in Europe, each person generates, on average, 475 kg of urban waste annually. 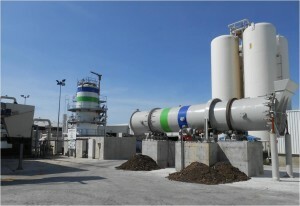 Around 50 % of this correspond to bio-waste (food and kitchen waste from households, restaurants, caterings, markets and malls, as well as biodegradable waste from gardens and parks), so that a total biomass of around 100 million tons derived from municipal solid waste (MSW) is yearly produced in the EU. This organic fraction mainly contains carbohydrates, proteins and lipids which are all useful raw materials for creating valuable products. However, until today this potential has not been fully exploited. 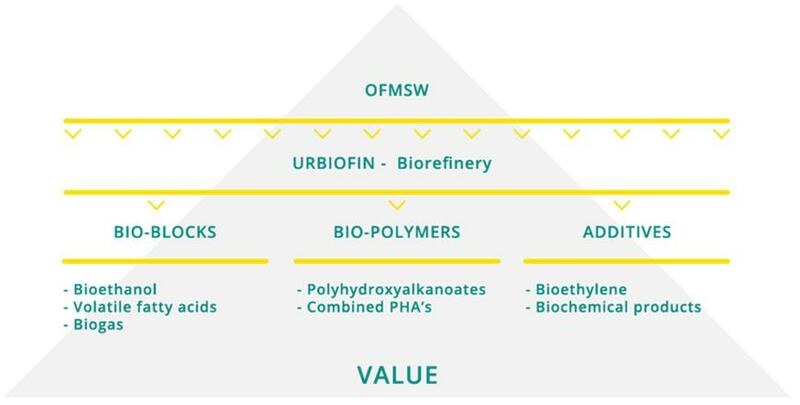 By using the biorefinery concept applied to MSW (urban biorefinery), URBIOFIN will exploit the organic fraction of municipal solid waste as feedstock, taking into account its heterogeneity and its variable composition, to produce valuable marketable products at semi-industrial scale. The processes involved in the development of these bioproducts will be interconnected so that a versatile and efficient biorefinery will be demonstrated. URBIOFIN project, which was kicked off in June 2017, will offer a feasible and more sustainable alternative to the current treatment of the OFMSW. To achieve this aim, a highly interdisciplinary work among the 16 partners that form URBIOFIN Consortium has been planned to define the urban biorefinery design. In the frame of these activities, the project successfully achieved its first milestone: the characterization and selection of the most convenient types of OFMSW that is the basis for further investigations in the project. The tested samples so far fulfil the requirements of the different URBIOFIN valorisation processes. 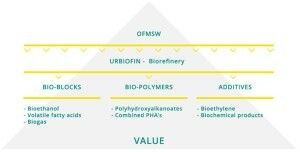 A general layout of the biorefinery was defined including a comprehensive concept flow of downstream conversion processes. In addition to that, a selection of performance indicators to evaluate all the conversion processes was carried out. Among them, it was evaluated for each conversion technology the “percentage” of bioproducts that it is foreseen to be produced and to reuse into the own waste collection activities. The performance indicators will be part of a preliminary Life Cycle Assessment (LCA), which will make possible in advance to evaluate the environmental and socio-economic performance of the whole value chain proposed. 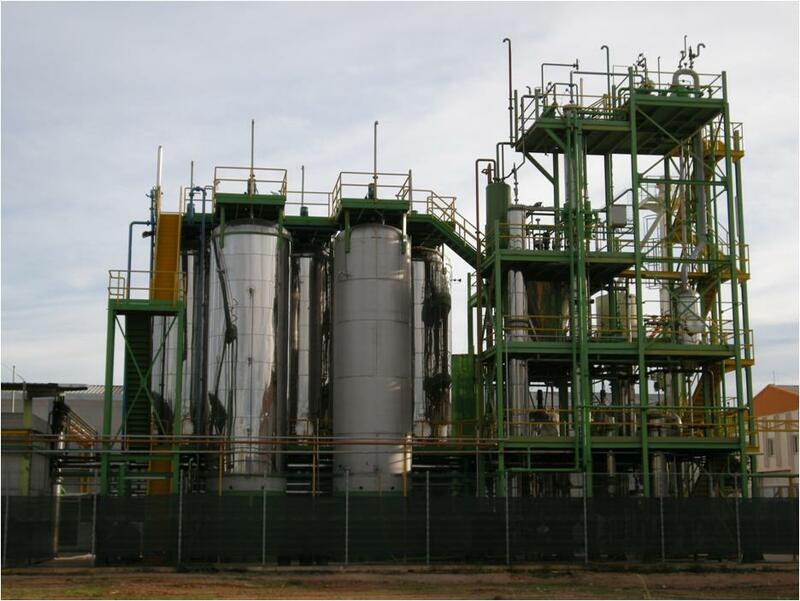 For the conversion of OFMSW into bioethanol as building block, the existing PERSEO Bioethanol® semi-industrial plant (IMECAL) will be adapted to the requirements to implement an ethanol-to-ethylene demonstration unit and is planned to develop a new monitoring system. The conversion of OFMSW to volatile fatty acids (VFAs) for the production of PHA will be also demonstrated. VFAs will be produced and elongated to medium chain fatty acids (MCFA) to produce PHA at semi-industrial scale. The optimization of these PHAs extraction process will be also performed in the project. 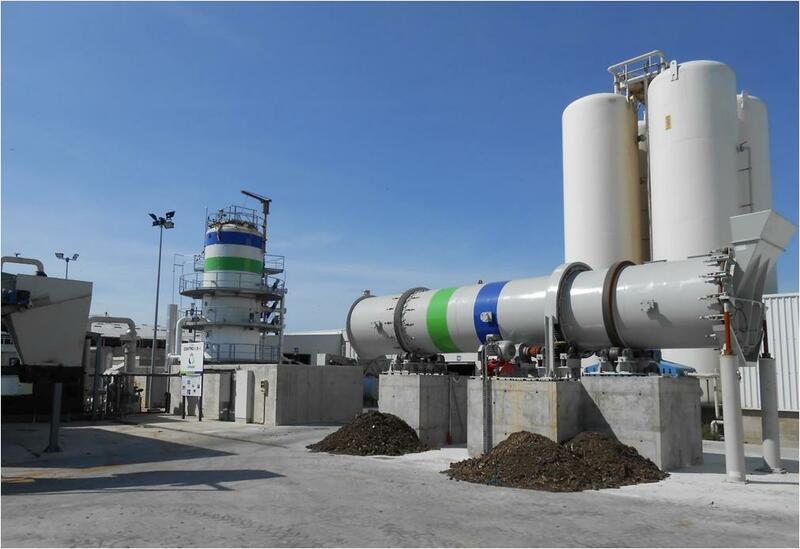 In addition, the integral upgrading of biogas under relevant environmental conditions, maximising the removal of biogas contaminants in the upgraded biomethane will be a specific objective of URBIOFIN, as well as the optimisation of biopolymers production from biogas. 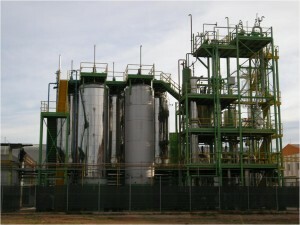 The plan for the next months mainly includes the adaptation of the 3 demonstration plants, which are located in Spain, to the project requirements: PERSEO plant adaptation to produce bioethanol as building block and bioethylene, optimisation of VFA and MCFA production, photosynthetic biogas upgrading and the techno-economic assessment, LCA and LCC, among others. Besides the technical developments, the project partners started with their communication activities towards relevant stakeholders through the use of various promotional materials. URBIOFIN participated at the first BBI JU Stakeholder Forum last 7th December 2017 in Brussels. This Forum was a public event dedicated to engaging the ongoing BBI JU projects directly in dialogue with BBI JU’s stakeholders. URBIOFIN project has received funding from the Bio Based Industries Joint Undertaking (BBI JU) under the European Union’s Horizon 2020 research and innovation programme under grant agreement No 745785.